Call to book: 214-762-8135 - Booking Mgr. Musician, Arranger and Recording Artist. The founder of MHM Morris Hunter Ministries brings a diverse background to his Music ministry with experience going back to his Martin Luther King Jr. High School years where he finished school as Musician of the Year having played for the Jazz Band, Marching Band, Concert Band while also singing with Drama team! Morris was a key member of the Jazz ensemble that won the Philadelphia City Jazz Championship playing with hit jazz group "Pieces of a Dream" from the city of brotherly love. 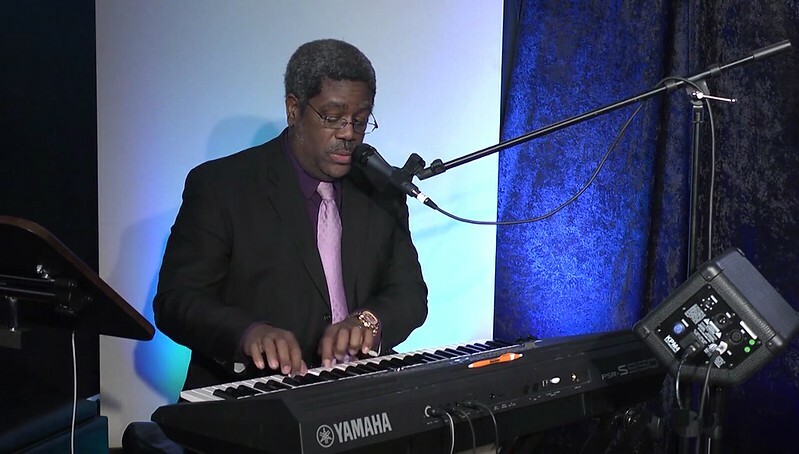 Dr. Hunter also holds a minor in music education along with his Bachelor of Science in Computer Science which he has used to teach the application of digital technology to music education and ministry. He has taught extensively in both public schools and ministry organizations. He was certified as a trainer on PC's and business software in the early days of the technology revolution and has continued applying tech to ministry and art ever since. Morris is also the founder of the EaglesWing Association for Christian Networking, the African and African American Network and his own business the EWRC Media Production and Technology Studio in operation for several years. Over the years Morris and his wife Angela have served as a worship leaders and Morris has been a worship team contributor for multiple churches including Church on Rock in San Angelo TX as part of a weekly Televised Church Program. Morris is often assisted by his wife of over 30 years Angela Hunter and they have led worship for both startup churches and thriving mega churches with International Ministries. As a songwriter Morris has written many original songs over the years and opened worship for Christian Artists such as Gospel Trumpeter Phil Driscoll. Morris has also sung on and recorded with the Worship Team with the Mega Church ministry at Covenant Church Carrollton TX led by Grammy winners David and Nicole Binion. Morris is the founder of a AoPPW which stands for the "Art of Prayer, Praise & Worship" a program dedicated to helping Christians expand their approach to prayer and worship as a key element of spiritual growth and maturity.